Research: Check out industry norms. Ask yourself: what are my competitors doing? Is it working? Where do they fall short? What are common complaints from technology customers? Define: Establish goals for your new technology. What are you looking to accomplish? What sets you apart? How can this translate to your UX design? Ideate: How can you make your goals translate to your technology? What specific ideas does your usability need to exemplify? What general colors, format and style should your technology possess? How do your workflows translate? Can you streamline or automate any processes? Prototype: Create the first sample of your product. Take what you decided in your Define and Ideate stages, and put it to paper. Create wireframes that will show your product breakdown, and develop those into real technology. Test: Let at least five people use your product. What are these users saying? Their feedback is the key to success. Repeat: With user feedback, go back to step No. 3. Think about how you can solve their criticisms within your usability. Restructure your processes. Test again, and repeat if necessary. Read the entire article penned by our CEO on Forbes. The possibilities are endless in today’s world of innovation and technology. Artificial intelligence (AI) is introducing itself into several industries across the globe – including recruitment – and is both welcomed and feared by many. Some anticipate the benefits of streamlining processes while others worry their jobs are on the line; a serious topic that has even inserted itself into the upcoming 2020 Presidential election. However, humans can remain important players while utilizing AI. It all depends on how companies are building it into their software. Earlier this year, Pereless Systems launched our BETA “Intelli-Match” AI tool to provide recruiters a smarter way to sort through candidates. Based on specific data points entered by the job creator, the algorithm will sort and rank best-suited candidates on the job level. Recruiters are still 100% involved in the process and responsible for reviewing and dispositioning candidates. Artificial Intelligence becomes increasingly “smarter” and accurate as it gathers data and learns company processes. New clients will receive “Intelli-Match” for 3 months free! You can also ask us about our 3-month trial to test drive the entire system for curious prospects. If you spoke to hiring teams a decade ago, their ability to complete day-to-day tasks would be described as difficult compared to present day. Although the end goal remains the same (find the best talent, hire them, and hope they remain long term), the recruitment processes to reach these goals have drastically changed thanks to technology. In the early days of recruitment, there were a lot of moving parts. With the absence of recruitment technology, candidates filled out paper applications, recruiters entered their data into Excel sheets, then called or emailed prospects to set up interviews. Third-party applications helped to an extent, however recruiters were forced to use several platforms to complete minor tasks which were often time consuming and costly. With recruiting processes transformed from manual to electronic, management and organizational functions were simplified into one centralized system, and job distribution to the world-wide-web became easy and instant. Suddenly, the recruiting space was flooded with new recruitment solutions built by software professionals and entrepreneurs. Many failed due to competition, lack of functionality, and inability to keep up with constant technological advancements. But others got the memo: flexibility is key to surviving in a new software market. As technology evolves, so MUST every tech company. This presents new challenges to keep up with advancements while competing to remain relevant and innovative. Certain functionalities that didn’t exist within ATS platforms became immediate demands as the world advanced. Mobile Optimized – Any ATS vendor selling a system without a mobile-optimized career page, application, and internal texting functionality, might as well quit while they’re behind. This applicant tracking software includes it as standard. Social media integration – The ability to connect an ATS to social media accounts is crucial for candidate traffic and flow. This is a standard functionality included with this ATS. With the technological “big bang” that effects us all, the Human Resource industry has been positively effected. With the ability to reach talent from anywhere in the world, what’s next for the recruitment industry? These are so important, yet often one of the most overlooked functionalities of an applicant tracking system. When purchasing an item online, the standard etiquette includes receiving a confirmation email. Obviously, a big reason for this is because money is involved and a transaction took place. Yet, it also confirms that everything went smoothly, and that the ball is now in the company’s court to fulfill the next task. Although filling out a job application doesn’t involve money spent, it involves money (that can potentially) be earned. Candidates in the market for landing a new career will take this very seriously. That is why it is so important to acknowledge their effort and confirm they successfully applied for a position and the company’s “tech” actually worked. With the proper recruitment software such as Pereless Systems, setting up communication tools is quick, easy, and innovative while easing work tasks for hiring teams. Acknowledge and appreciate the talented people interested in working for you! Use Pereless Systems applicant tracking software to set up custom email templates. Templates can be assigned to specific recruit flows and set to send automatically to every candidate that enters that flow; which solves the problem for email confirmations for new submitted applications! Sending a friendly confirmation reassures candidates that their information will be reviewed and they can expect a response. This is an easy and professional way to maintain a positive relationship with candidates. Teams using the Pereless ATS can create a generic email address to communicate with candidates. This is a great way to build a talent pool and connect with candidates without compromising your personal email. All data is tracked and reported in the ATS! Pereless users have the flexibility to customize the ATS to best fit their recruitment processes providing candidates a positive experience while relieving recruiters of manual work. In a technologically advanced age, why not use it to your advantage? Pereless ATS comes standard with a QR code generator. 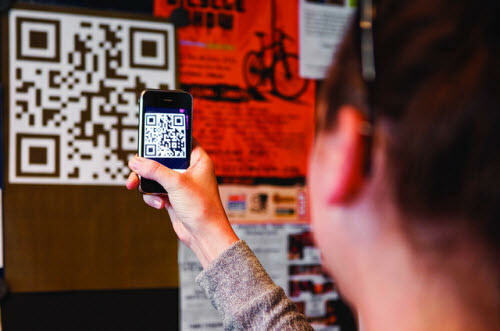 QR (quick response) codes are machine-readable barcodes that are scanned using a smart device’s camera lens and read using a specified mobile app. 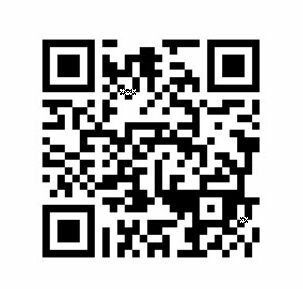 Anyone with a smart device can download a QR code app (for free), scan the code, and be directly linked to your career site! Not only is this an innovative way of attracting talent, it is free for recruiters, free for candidates to use, and codes can be places on virtually anything. QR code – Try Me! QR codes can be generated for a specific job or an entire career page which can then be applied to physical products, receipts, cars, posters, stickers, and more! iPhone users can download the app here, and Android users here. System administrators can monitor team progress and view candidate activity by checking the flow timeline. This provides a real-time overview of ATS user activity, candidate flow, and candidate dispositions. Captures candidate source information via all sites jobs are posted including company career page and third-party job boards. Pipeline report provides quick data on the job level; including information where candidates are within the review process, pass rate, and the average amount of days applicants remain within a flow. Provides a quick list of top 10 best and worst performing active jobs in regards to candidate flow and the amount of days a position has been posted. A very popular trend in business is going green and doing things in your company that benefit the earth. Many businesses are making greener choices to make a positive influence on the environment. These businesses are making a difference in the way consumers buy products and making themselves more competitive in the market. By going green, a company receives many benefits in their business as well as on the environment surrounding them. It is important for other companies to see these trends and stay up to date with them in order to stay competitive in their current market. Although many companies go green to increase their business, it is important to recognize the positive impact they are having on the environment as well. There are many benefits to going green, but the main benefit is how your consumers react to the change. As it becomes more popular to do things that help the earth, buyers are becoming more interested in purchasing products that either help the earth or buying from companies that give back to the earth. By using the greener products as a way of marketing a company, consumers are drawn in and more willing to buy the products, creating more revenue for the company. This change also makes a company more competitive in their own market. By marketing their green products, company’s are able to stand out compared to other competitors and generate more business. When moving to greener products, it is important to make consumers aware and use it as a way to better market your company. Becoming a green company also increases a company’s corporate social responsibility. By creating greener products or making changes in an office to save energy or plastic, consumers become aware and start to generate a positive image for the company. This image is important because if consumers know you are benefiting the environment and making positive changes within your company, consumers will become more loyal and dedicated to your company. By building your corporate social responsibility, you can become more popular within your market and bring in more customers in the future. It is also important for your customers to know that you are building your business off of the positive impact it will have, and not just how much money the company is making. Although creating greener products and making changes in your business that will positively affect the environment brings in many customers, it is important to look at how it benefits the environment. The trend of becoming more environmentally friendly in a business has become very popular and continues to keep growing. This change is making positive impacts on businesses and helping the environment one step at a time. RED BANK, NJ – Pereless Systems applicant tracking system (ATS) has released a new machine learning technology to their platform. 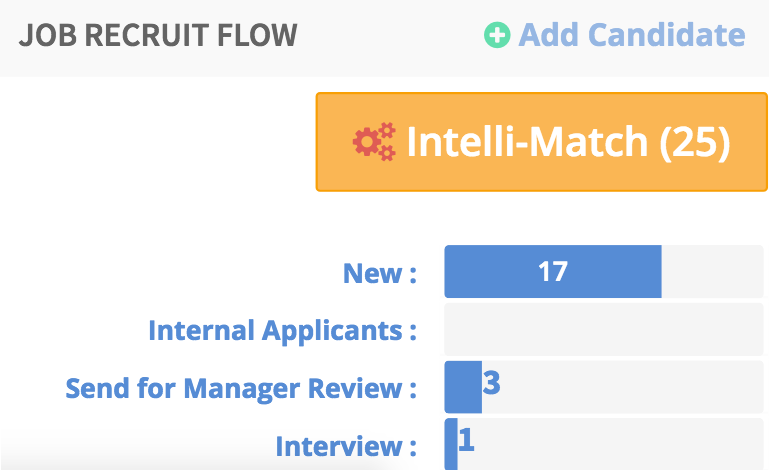 The new technology will provide a “Intelli-Match” recruit flow to drastically decrease time to fill as well as screening time for recruiters. The technology analyzes keywords, education, experience, and other candidate information to comprise a list of the best matches. With this option, clients will be shown the most ideal candidates based on historical hiring data and unique machine learning. The development team on the project, whose background include projects with Google and Intel, is comprised of true innovators in the machine learning space. “Artificial Intelligence/Machine Learning is one of the most defining innovations that can be utilized in today’s recruiting. Ultimately, we will be able to define best matches utilizing this technology and then aggressively deploy it through the rest of our applications to predict the best type of hires overtime,” says Pereless Systems CEO, Arthur Pereless. The model does not take any of the key decision-making away from the client nor hide any information. One step further, the technology will analyze employee retention and calculate in what types of hires stay with the company for the long term. It will be able to learn far more about hiring practices than human analysis alone can provide. “Most CEOs and CFOs realize that employee attrition is a bottom-line killer. AI / Machine learning will allow companies to notice patterns and mitigate attrition as they become more knowledgeable about hires that stick,” Pereless continued. The new technology will be implemented on all job types and categories within Pereless Systems, and work in conjunction with existing pre-screening question filters. With this product, every aspect of candidate research will be enhanced by insights garnered from years of candidate data across multiple industries and job types. For existing Pereless clients, a 3-month trial will allow clients to see the benefits of Intelli-Match in real time. It will then become an optional feature. The model will be steps beyond what is possible for new players on the market due to the fact that Pereless Systems has 20 years of data to use for the algorithm. From a technical standpoint, this current and old data will generate machine learning models meant to analyze the expectation that a candidate will be hired. Please contact an Account Representative for any further questions.